Plant World Garden Centre is one of the floral delights of Devon. 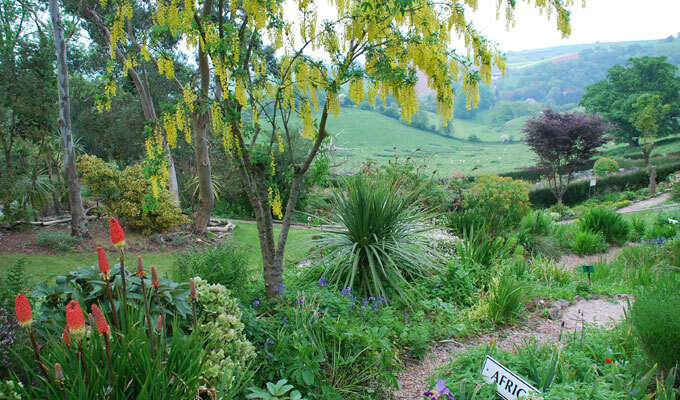 Located between Torquay and Newton Abbot, the Garden is laid out to represent the five continents of the world. Our inspirational gardens contain countless rare and exotic plants seldom seen outside their native lands. 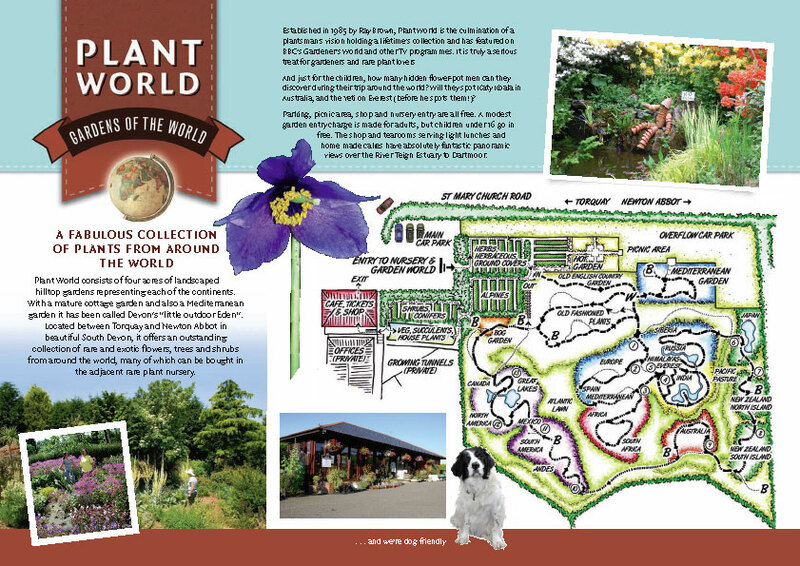 Plant World Gardens was designed, built and planted in 1986 as the first ever ‘Map-of-the World Gardens’. 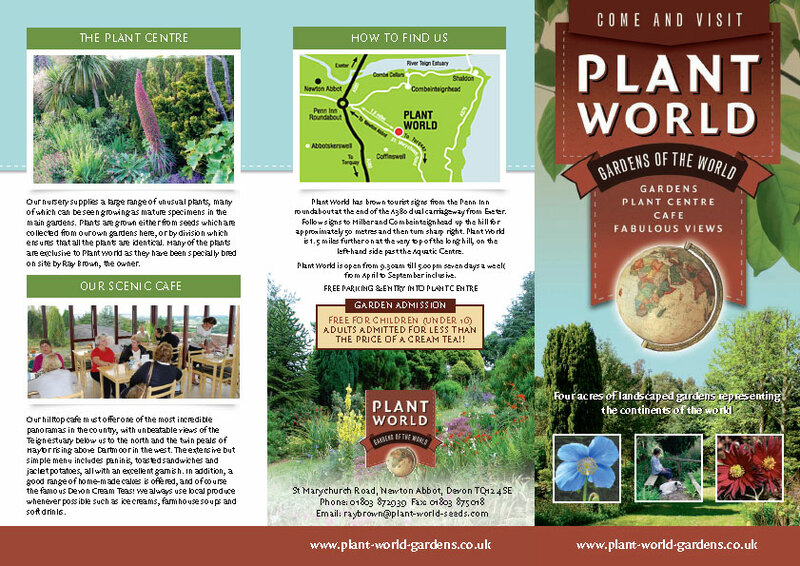 Visitors will need to take at least half an hour or more to navigate the winding pathways around the ‘world map’ and thus see which plants grow in which countries. The views from the gardens are unbeatable, with green Devon hills and woodland all around, framing the distant views of the tidal River Teign. The adjoining rare plant nursery was constructed to enable visitors to take home plants and trees they had seen growing there. We give a warm welcome to numerous garden clubs and horticultural societies, many of whom make annual visits. 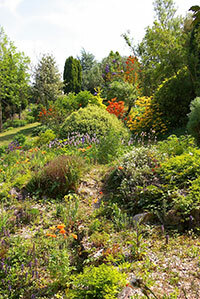 Read more about our Gardens here. Our hilltop cafe must offer one of the most incredible panoramas in the country, with unbeatable views of the Teign estuary below us to the north and the twin peaks of Haytor rising above Dartmoor in the west. The extensive but simple menu includes paninis, toasted sandwiches and jacket potatoes, all with an excellent garnish. In addition, a good range of homemade cakes is offered, and of course the famous Devon Cream Teas! We always use local produce whenever possible – our ice creams are from Langage, our home-made soups come from Rod & Bens, and our bottled drinks are supplied by Heron Valley. Read more about our Cafe here. We are open 9.30 a.m. – 5.00 p.m., seven days a week, from late March through to mid October. Entrance to Nursery & Cafe is free. Find more information here: Directions.